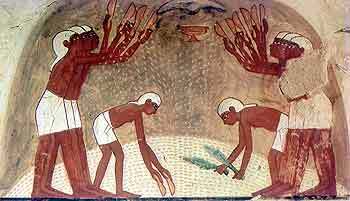 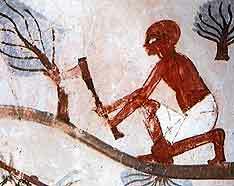 One of the better known tombs in the necropolis of the nobles, the paintings in the tomb have lasted well and show various scenes of egyptian life from the period. 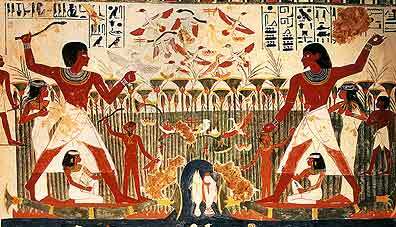 1 - Nakht and his wife sit before offerings, servants bring more offerings to them, a bull is killed as a sacrifice to them. 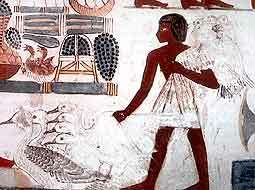 A servant brings geese to offer before Nakht. 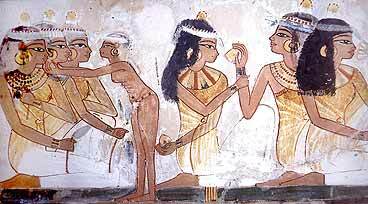 Nakht is shown both on the left and the right (his family is also shown twice). 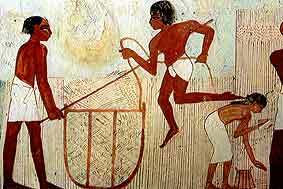 On the left he holds a boomerang, on the right he hunts with a spear - the spear was never painted in. 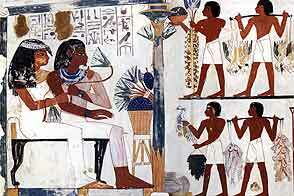 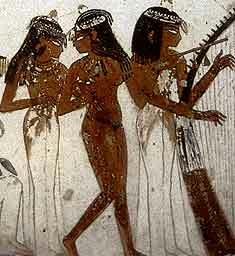 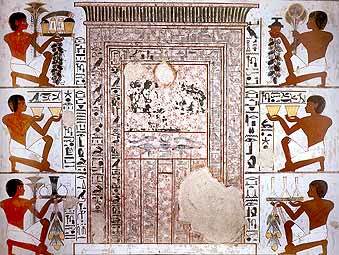 Other scenes in the tomb have been left unfinished, (most probably because Nakht had died).